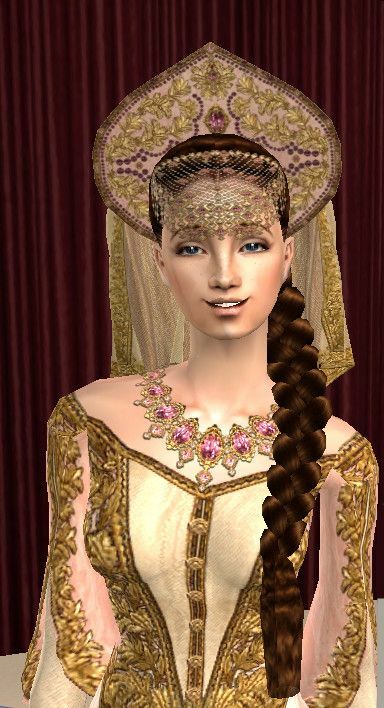 I created a blog in which - among other things - Sims 2, I would like to share with you my work. They are mostly clothes, Sims and HomeCrafter-designs. Some may know already, from the Plumb Bob Keep. Recent entries: Romy Schneider sim and Sissi-outfit. New jewelry - random tiara-kit. These are beautiful Tiara's beyond amazing. The Lannisters send their regards! Happy New Year! 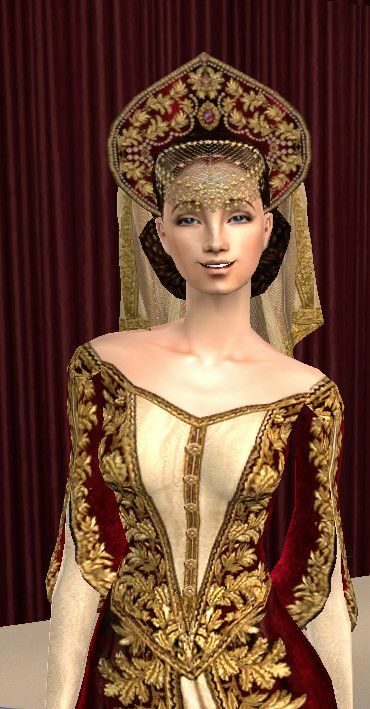 My new collection, Cersei Lannister's wardrobe. Big thanks to him and his team to the Sims Cave, the navigations. 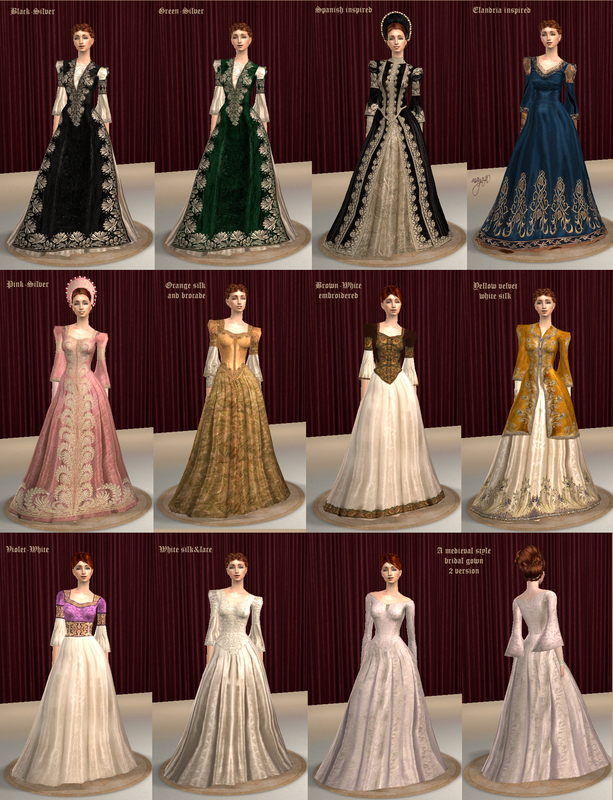 Margaery's bridal dresses, from the Game of thrones TV series. Meshes included. 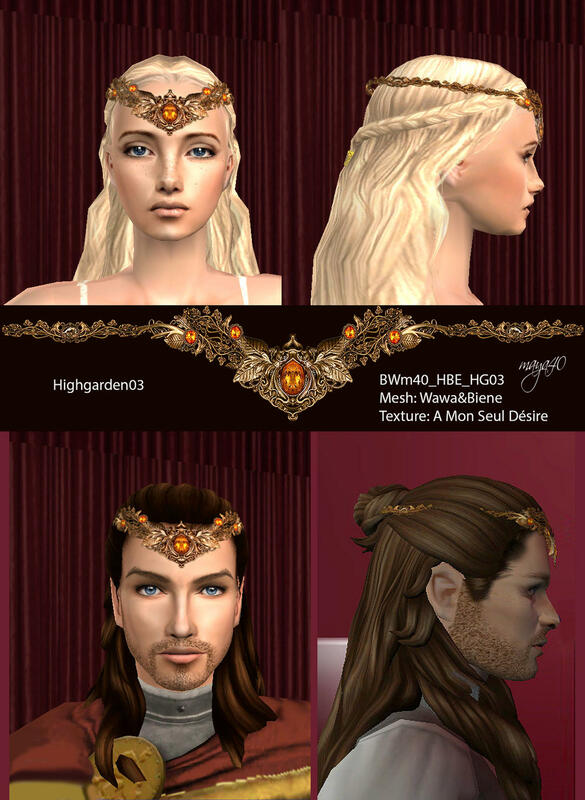 I recommend this lovely Margaery sim. Namiex3 has shared it on the Mod The Sims website. Sorry, the pictures are separate. There was a technical problem. I'm sorry, but packs a forehead ornament is not the right mesh. This is a good mesh. Its name is "Maya40-BieneHeadBandEdit"
Please delete the "BieneHeadbandEDITED" package.